Corset · How To Make A Corset · Dressmaking on Cut Out + Keep · How To by camilla t.
As always, don't use my patterns to make stuff to sell. Take your measurements. Do this naked, and don't lie to yourself because that's just dumb. Make a little sketch so you'll remember, or write it down. 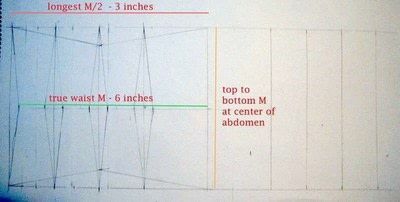 For the pattern: Divide largest measurement (probably ribcage) by half, and minus 2 or 3 inches. 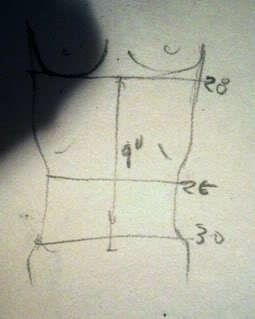 Draw a rectangle with that width, and the height being the measurement from below navel to xiphoid process. Section the rectangle into four sections, with the end section being slightly wider. At the center between top and bottom, draw a horizontal line. Along this line, squeeze the pieces into hourglass shapes by 0.5" on either side. Keep the furthermost edges straight (on my sketch, I initially didn't do that on one edge, so don't you do that). Number each pattern piece so you can keep track of its position and side. Now, pin the pieces to your fabric. Cut them out, then flip them over and cut out the reverse. You'll end up with four of each pattern piece, two for each side of the corset. 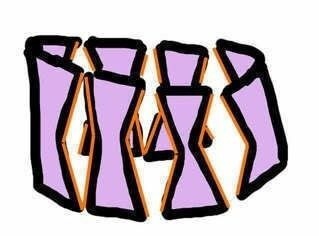 Number the pieces as you cut them out with a pencil or some other washable marker. 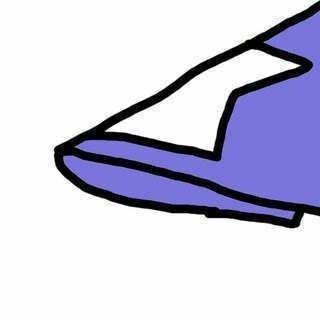 Don't forget to leave spave for the seam. I always have 0.5" around the edge of each piece. Now, pin the fabric together, and sew it. Do if for the other side too. Now, flip it inside out (so the seams will now be on the inside). Get a big plastic jug, like a juice jug or detergent. 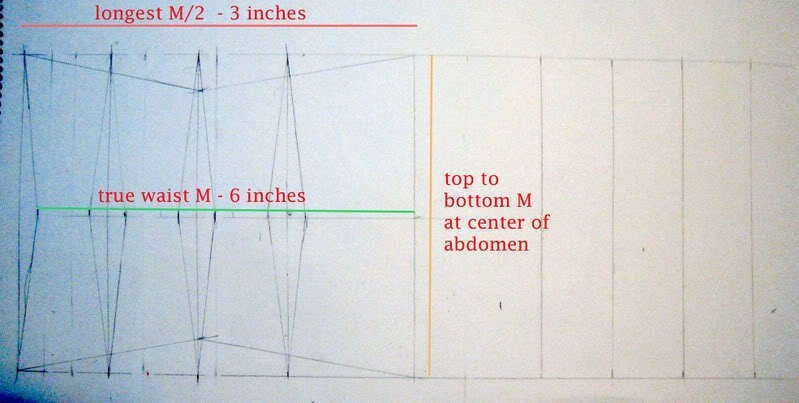 It will need to be about as tall as the navel-xiphoid measurement. Cut it into strips, about 0.75" wide. For the ends, you'll need wider pieces, about the width of those areas. 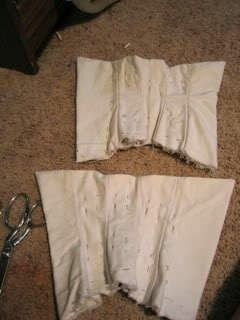 Place the plastic into the corset piece, pinning it into place. 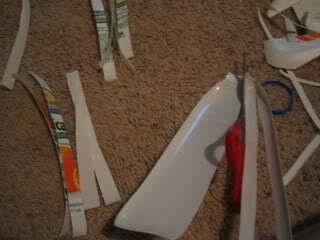 Use two strips of plastic for each section, to keep it stiffer. If you use white or transparent fabric like I did, make sure the print or label on the boning only faces one side. Sew the boning into place. For the raw bottom edge, use ribbon or finishing tape to close it. I used some pink lace, as it would match the ribbon I eventually used to lace it. For grommets, measure along corresponding edges. 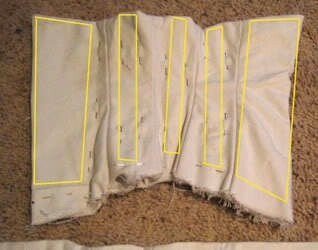 Don't place them any farther apart than about an inch, or it will make the corset buckle. I'm lucky enough to make tools for grommeting, but if you don't, you can use eyelets instead. And that's it! Feel free to ask questions and I'll do my best to answer. Oh yeah, remember when you lace the back to use two pieces of lace, not one. 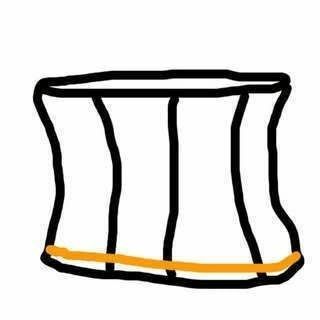 They should tie in the middle. This way, it's easier to cinch it up. Please please, if you make one, let me see! Take a picture and post it! I dont understand what a xiphoid is? Gonna have to make on with steel boning, might make it longer in the body so it sits closer/over my hips. this is really amazing! it sure looks easy to make but i think i'll have a hard time since i'm new to sewing... more practice for me.. but thanks to this, i just got inspired. I made one of these a few weeks ago and I absolutely love it! Super easy, super fun. Even running my finger through the sewing machine (blast that zipper foot!) couldn't dampen the excitement that came from making my first corset. I now have three or four more planned as soon as I can get enough plastic amassed. Thanks so much for this wonderful tutorial. i'm going to try this, just need some grommets and a zipper. but does it matter what type of fabric you use?